For over 16 years, the world’s largest brands have relied on us to build accessible, creative, and user-friendly digital solutions that deliver results.We are more than 420 people across 11 countries, with a track record of over 1,000 digital solutions delivered since 2000. 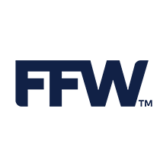 FFW is part of the Intellecta Group. Other companies within the Intellecta Group are Bysted AB, Hilanders AB, Intellecta Corporate AB, ISBIT GAMES AB, Rewir AB, River Cresco AB, Tomorrow (Shanghai) Ltd, Unreel AB and Wow Events AB. Intellecta AB (publ) is noted on NASDAQ OMX Stockholm and employs around 550 people in Sweden, Denmark, Austria, Germany, the Netherlands, UK, Bulgaria, Moldova, Ukraine, Brazil, the US, Vietnam and China.